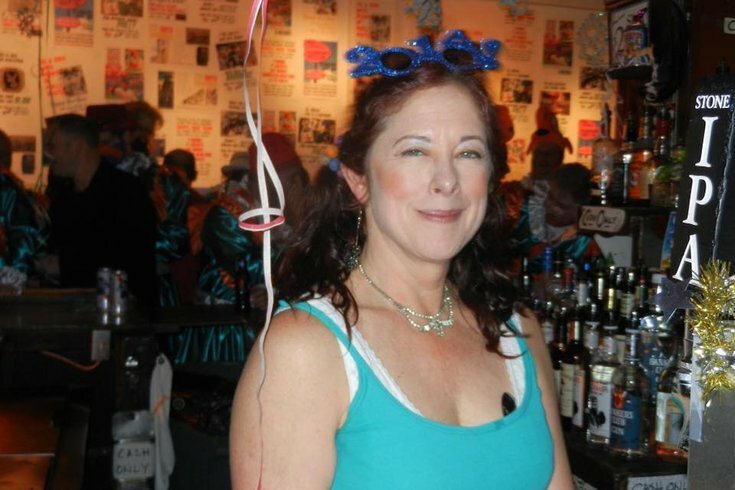 Seven months after she was struck by a car on Lincoln Drive, beloved Dirty Franks bartender and Sunshine Arts Center founder Sheila Modglin still can’t talk or walk after a pair of major setbacks in her recovery from brain injuries. On the plus side, her damaged pelvis, fractured legs and other injuries stemming from the accident after her shift on the day of the Eagles' Super Bowl parade have healed with medical intervention and the passage of time. 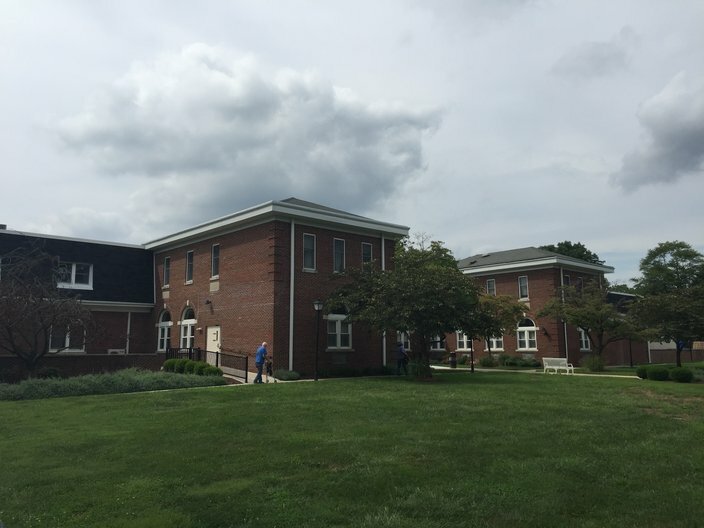 Still, the lingering brain issues have left the 56-year-old life of the party confined to a bed at ManorCare Health Services rehab center in Nether Providence Township, Delaware County, except for the times she’s taken back to Albert Einstein Medical Center for surgery. Before heading inside for his daily visit, Rick Modglin, Sheila's brother, said she just got back to the rehab center after a recent surgery to help alleviate pressure on her brain. It was the second return trip to the Philadelphia hospital, with the first coming after a possible seizure. Friday afternoon was one of the better days. Clenched firmly in her hands in Room 217 was a yellow duckling stuffed animal, not far from a half dozen well-wishing cards taped to the wall. Her feet and lower legs remain wrapped in gray Z-Flex Heel Protection boots. When she’s feeling up to it, she can point at those words to communicate with relatives and friends who visit regularly to help keep her spirits up. A day earlier, she was able to get music turned on that way. Last month, when Sheila was back at Einstein recovering from surgery, about two dozen friends showed up for a picnic outside. It was their way of celebrating how she'd often organize similar events in better days. In a photo from that sunny day, she's seen wearing white in a wheelchair, smiling as she's surrounded by those she loves, and who love her right back. On this day, when Rick arrives, Sheila’s eyes are wide open and her head tilted to the left as a nurse explains she’d just been given a Fentanyl patch to help with the pain. Staying positive is not the easiest thing to do when days and weeks turn into months upon months of waiting for a sign that a patient will recover some, and hopefully all, of their physical and mental capacity. Her family wants everybody who cares about her to know that she’s fighting back as best she can. They’re also fighting to stay as positive as conditions permit. Sheila Modglin, the Dirty Franks bartender badly injured after being struck by a car in February 2018, is now recovering at ManorCare Health Services in Wallingford, Delaware County. They’re also grappling with financial concerns about insurance and future care. Already, she’s been moved from another rehabilitation hospital because of insurance nuances. Rick said he really doesn’t know how long that’s going to last, which is why friends are still organizing fundraisers to help ease that burden. There are plans in the works for a month-long "Dining Out for Sheila" fundraiser. There are plans in the works for both an art opening benefit at Dirty Franks on October 21 as well as a month-long "Dining Out for Sheila" fundraiser. As for the latter event, both Rick and Sheila's friend Sarah Eisenstein are working with restaurants including Amis, Franky Bradley's, The Black Cat Tavern, Fergie's Pub and a slew of others to put it together. They said they'll provide a link where supporters can get more information about dates and participating establishments as soon as it's available. And with that, Rick turned his attention back toward his sister, finding the Chap Stick she desperately needed and brushing her teeth, because he knows Sheila remains particular about having fresh breath.